Once upon a time, choice of URLs were much more important than they are now. Do you remember when someone bought the madonna.com URL and the singer had to pay an exorbirant price to get it for herself? Now, with smartphone apps and better search tools, a notable URL is not as important. But, when it comes to running a campaign, the URL can make a big difference as it becomes a marketing tool printed on brochures and on the side of the campaign bus. If former Florida Gov. Jeb Bush (R) officially enters the 2016 White House race, he probably won’t be able to use the website JebBushForPresident.com. 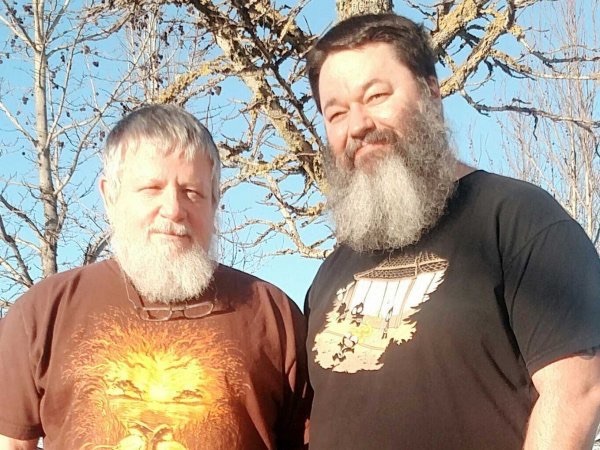 “We’re a couple of high-tech bears who both work in the microprocessor-design industry, yes you could say we’re just a couple of nerds,” the two men explain on their personal homepage. In an email, Phillips said they purchased JebBushForPresident.com in 2008. …or, they could sell it to the campaign for a good return. Let’s hope the couple use it to continue the fight for LGBT rights. Tags: 2016 Elections, Jeb Bush. Bookmark the permalink.